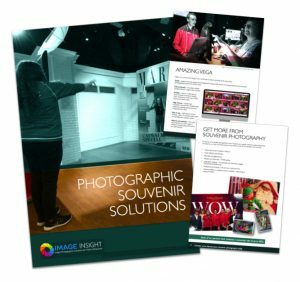 Image Insight provides premium, reliable and proven instant photo solutions with on-site instant printing with a digital platform for operators of visitor attractions including Amusement Parks, Observation Wheels, Theme Parks, Water Parks, Music Festivals, Zoos, Aquariums and much more! We are proud to partner with the worlds leading brands. 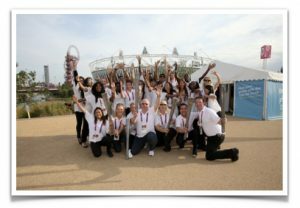 We are specialists in Instant Souvenir Photography with a wealth of experience in supplying and managing souvenir photography systems to major clients like Merlin Entertainments and other Blue Chip Clients and major events such as the London 2012 Olympic and Paralympic Games, the Brit Awards, the Isle of Wight Music Festival, UEFA Champions League Final, X-Factor and many more. 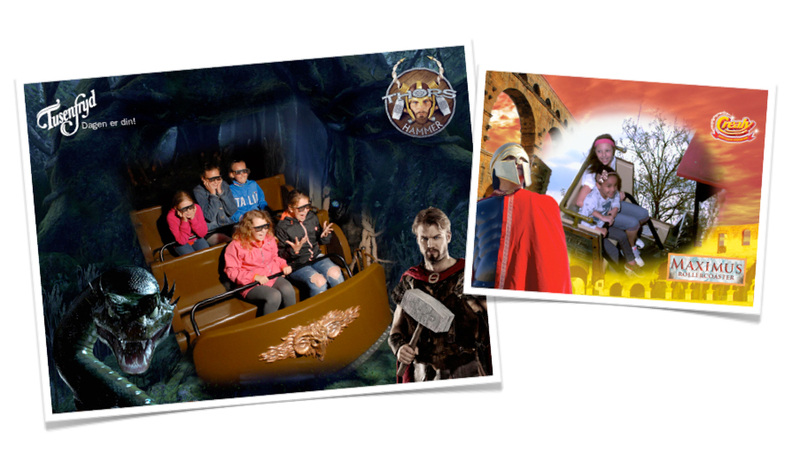 Our installations at theme parks, entertainment outlets and attractions, are a complete, proven, easy-to-use solution which provide guests with an instant, high quality photo that our clients can benefit from immediately whilst sharing the clients brand across social media platforms. Our VEGA photo solution is a comprehensive, well proven system designed to manage large numbers of pictures being taken, whilst at the same time performing all of the necessary image identification and processing to vastly improve the visitor experience and maximise revenue. 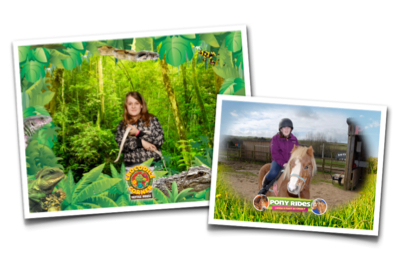 If you are looking for either a permanent or temporary Photo Solutions Partner to help you maximise the revenue from your attraction or theme park, then contact us. We hit record breaking RPC’s on daily and weekly level. Huge compliments! For you and the team! The effort and ‘we will not give up’ mentality absolutely made the difference here! Up at the 02 converts to our VEGA Photo Solution to maximise revenues. Christmas at Winter Wonderland gets an additional Photo Solution this year. Photo solutions for Theme Parks which include photo opportunities on roller coasters, dark rides, roving solutions and more. 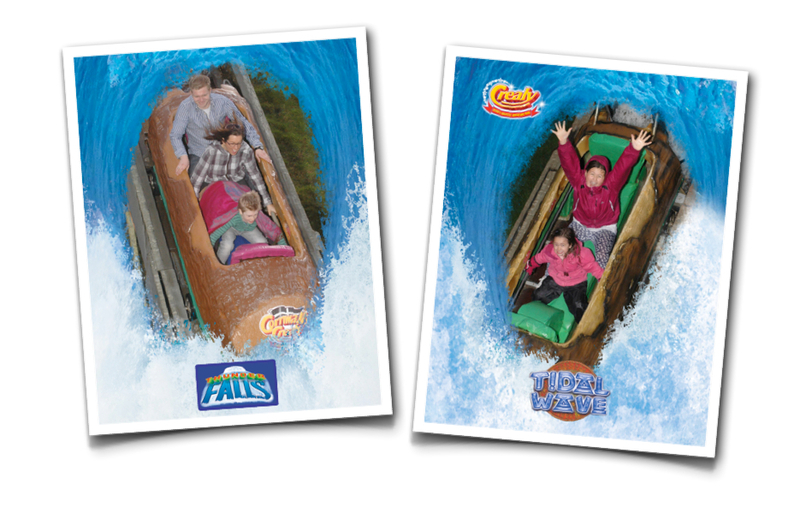 We can supply a total instant photography solution for your Water Parks which includes all wet rides. From Roving Photography to Green Screen Photo Solutions we cover all aspects of Souvenir Photography in your Safari or Animal Park. Our Photo Solution is especially designed for Cruise Ships and we have over 12 years’ experience of Cruise Ship Photography. With photo systems in Wembley Stadium and major UK football clubs including Chelsea, Arsenal, Liverpool and Man City football clubs, we have a proven track record. 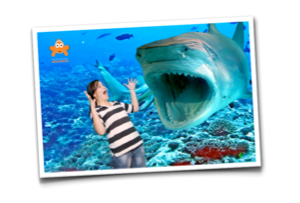 Our flash-less photo solution is suitable and proven at Aquariums and offers guests a superb memory in a location that is usually challenging for souvenir photography. 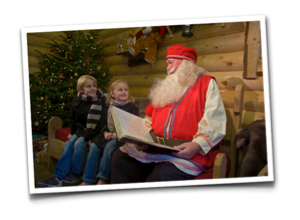 Christmas Experiences offer unique challenges but our solution is well proven at many of the leading Christmas and Grotto locations and Ice Rinks in the UK, including the superb Winter Wonderland. Many Visitor Attractions can benefit from our Souvenir Photo Solution and immediately start earning revenue and improving the guest experience. Whether it’s the Brit Awards, the Isle of Wight Festival or the UEFA Champions League final, indoor or outdoor, we have the experience to deliver. 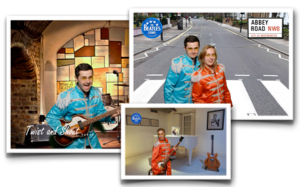 From Liverpool to Las Vegas, we have provided solutions for almost all types of event. 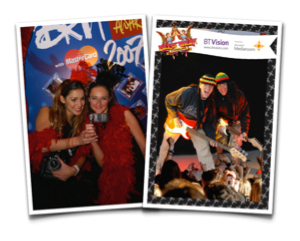 We work with major brands like BT, Microsoft, Nokia, Nikon, Travelex, Mattel, Hamleys, M&S and many more, providing instant photo solutions for their events or brand experience. 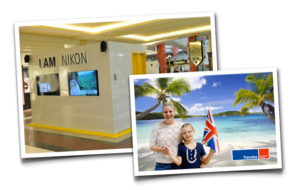 Our photo solution can be installed almost anywhere from a store to a shopping centre to the Olympic Park! Or, it can be built into your existing stand design. Whether it’s for several hours or several months, we have a suitable solution. 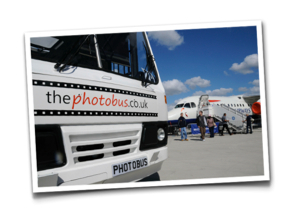 We own and operate Europe’s largest, self-sufficient, Instant Photography vehicle, “The Photobus”. This contains all the equipment needed to produce photos instantly at your event. Ensure you speak with the leaders in Europe’s instant photo operations! We have proven time and time again that we are able to deliver photo solutions to our clients which generate increased revenues whilst enhancing the guest experience and producing high quality, instant, souvenir photos.